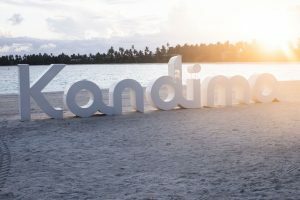 In September Kandima Maldives hosted Taylah Cannon, the newly crowned winner of the Miss World Australia 2018 pageant and the Top 4 finalists on its tropical playground for a series of professional photography and video shoots. The finalists’ Kandima experience was documented by Australia’s Chanel 10 and a well-known TV presenter and reporter, Scott Tweedie. The girls’ tropical experience will be broadcast live on the morning TV show in October.